16:30　Un Yamada Solo Live Dance TPAM Ver. • Please make reservations via an TPAM My Page, to which we invite you after your registration. Availability is limited. • Please bring your TPAM Pass to the venue or please tell your name at the door if you don’t have TPAM Pass. This is a performance of highlights from the Co. Yamada Un repertory and Yamada Un’s solo dance pieces. In a studio space with the atmosphere of a rehearsal environment, you can enjoy this performance from up close, feeling truly in the presence of the performances. 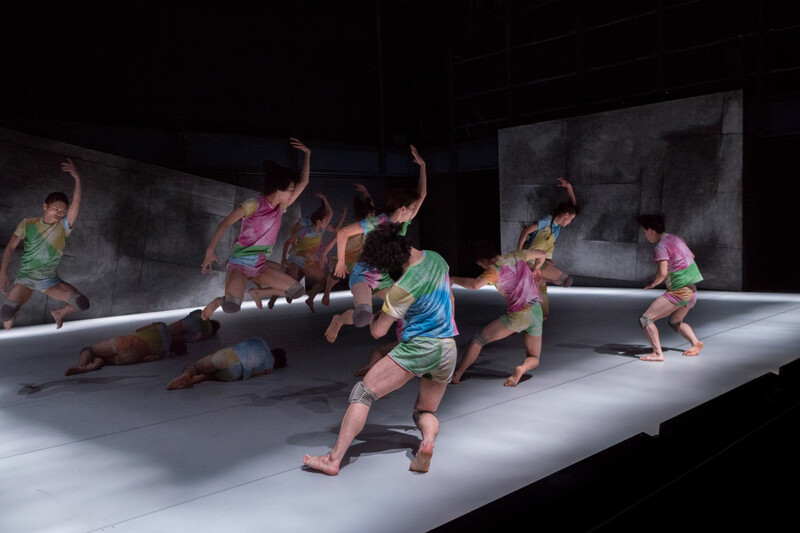 After training in gymnastics, ballet, and Butoh, Un Yamada started her career as a choreographer in 1996. She has also been active as a solo dancer since 1998. For inspiration, she draws on music, visual art, literature, academic fields, fashion, and diverse body movement. Her sensitive, energetic and dynamic dance has attracted attention from all over the globe, and cannot be described simply as contemporary or Butoh. After winning the French Embassy Prize for Young Choreographer at the Yokohama Dance Collection Solo x Duo Competition in 2000, she moved to France. She established her own dance company, Co. Yamada Un, in Tokyo in 2002. Today she performs in Japan, Asia, Europe, and the Middle East, and has created interdisciplinary work across the fields of music, drama, opera, academic, and traditional performing arts. She has organized workshops for a wide range of participants, as well as worked to cultivate new dancers in Asia and the Middle East. She received the 8th Japan Dance Forum Award in 2013. In 2014, she was designated the Japan Cultural Envoy for East Asia, and also received the New Face Award of Minister of Education Awards for Fine Arts.